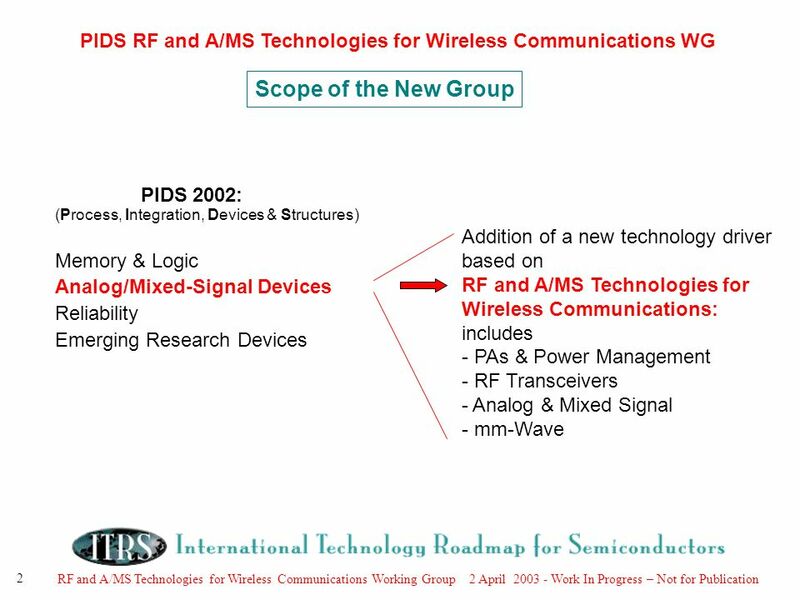 RF and A/MS Technologies for Wireless Communications Working Group 2 April 2003 - Work In Progress – Not for Publication 1 PIDS ITWG RF and A/MS Technologies. 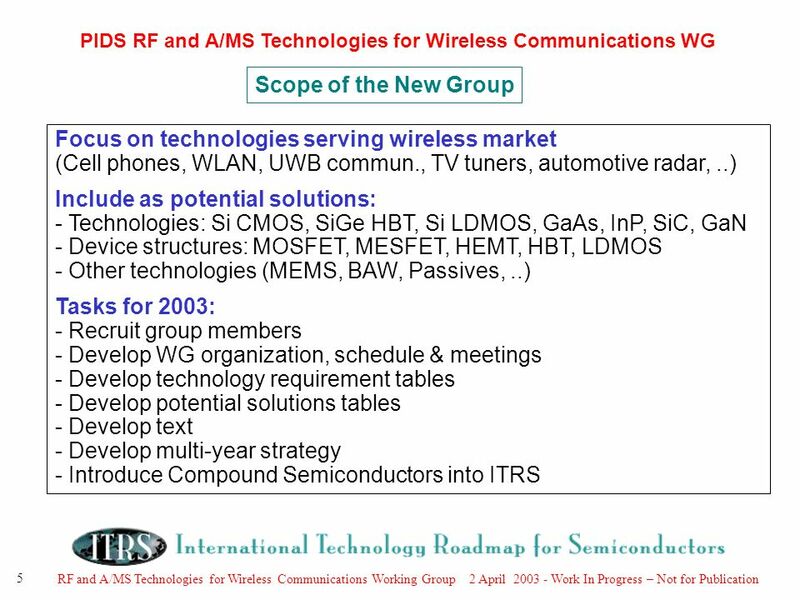 3 RF and A/MS Technologies for Wireless Communications Working Group 2 April 2003 - Work In Progress – Not for Publication 3 PIDS RF and A/MS Technologies for Wireless Communications WG Scope of the New Group From D. Barlas, et. al., Microw. 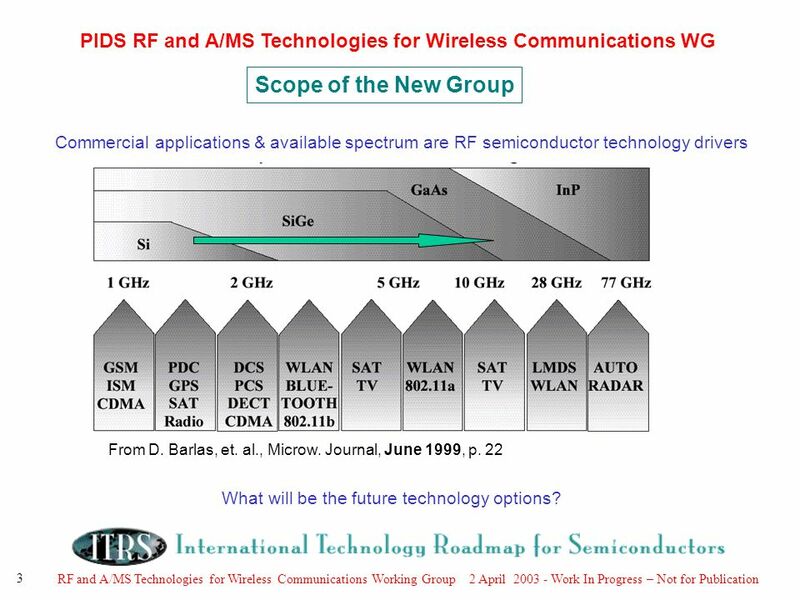 Journal, June 1999, p. 22 Commercial applications & available spectrum are RF semiconductor technology drivers What will be the future technology options? 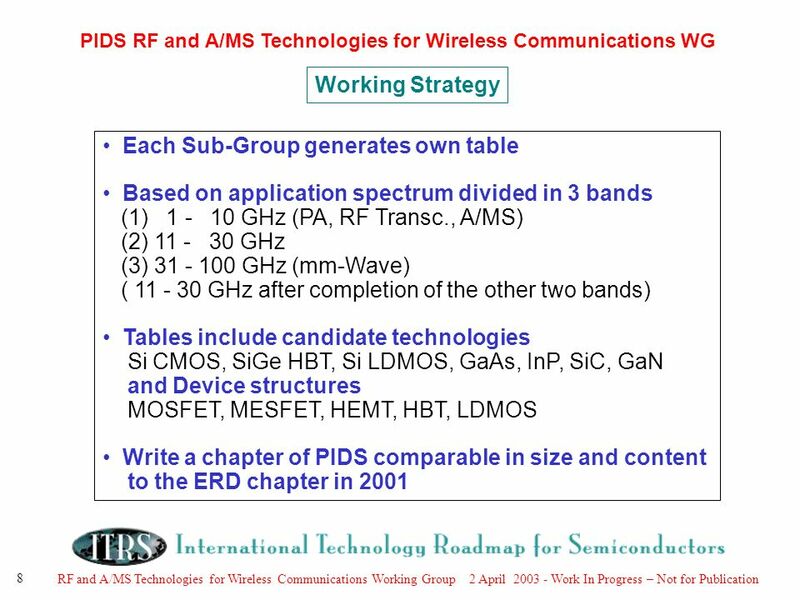 Download ppt "RF and A/MS Technologies for Wireless Communications Working Group 2 April 2003 - Work In Progress – Not for Publication 1 PIDS ITWG RF and A/MS Technologies." 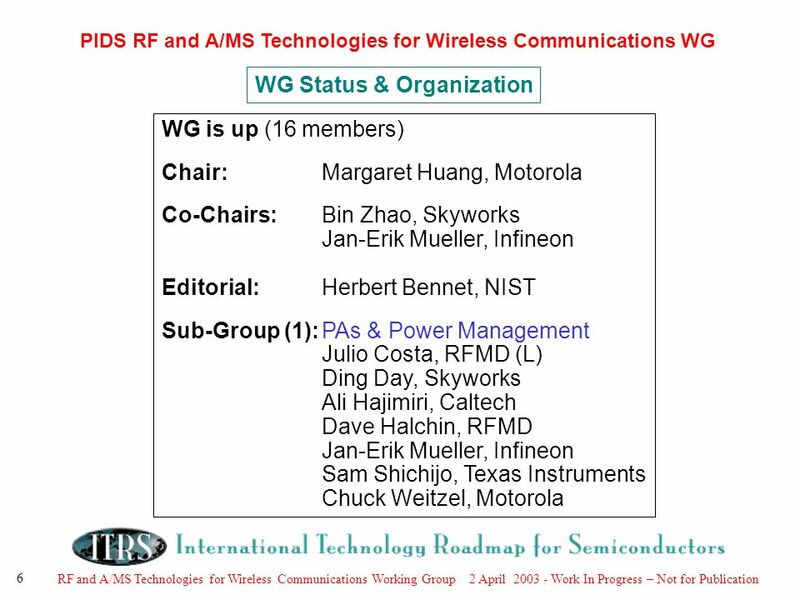 Work in progress – do not publish RF&A/MS Summer 2012 Chapter overview Membership Application drivers Technologies CMOS, Bipolar, III-V, HVMOS, Passives. 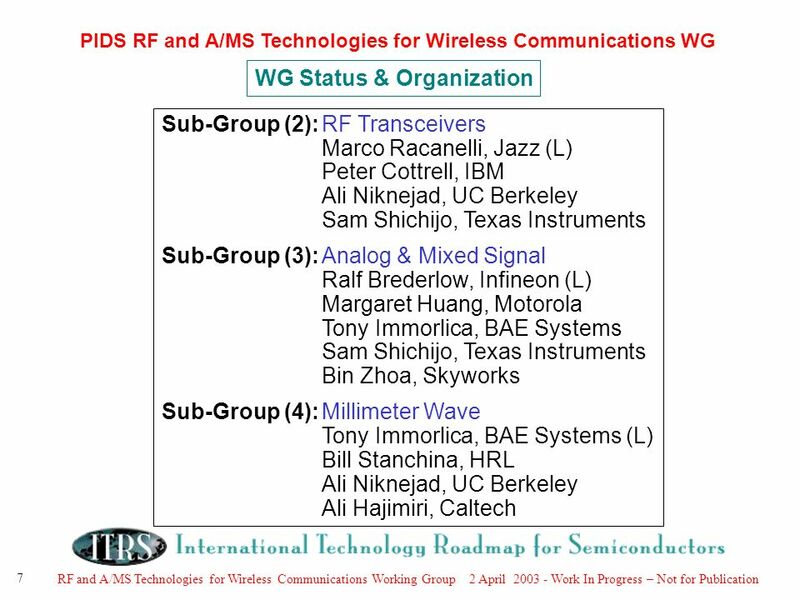 18 July 2001 Work In Progress – Not for Publication 2001 ITRS Test Chapter ITRS Test ITWG Mike Rodgers Don Edenfeld. 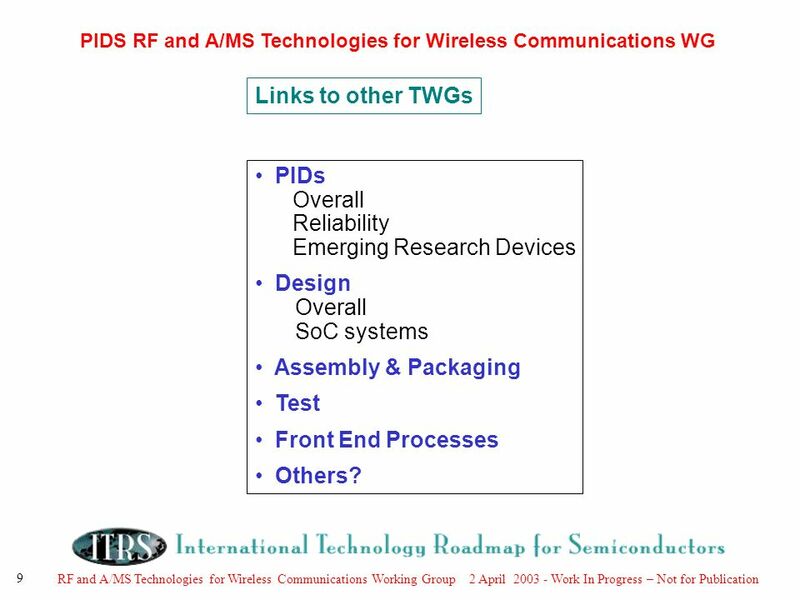 Nov 29, 2001 ITRS Conference Assembly and Packaging Joe Adam TWIG Co-chair. 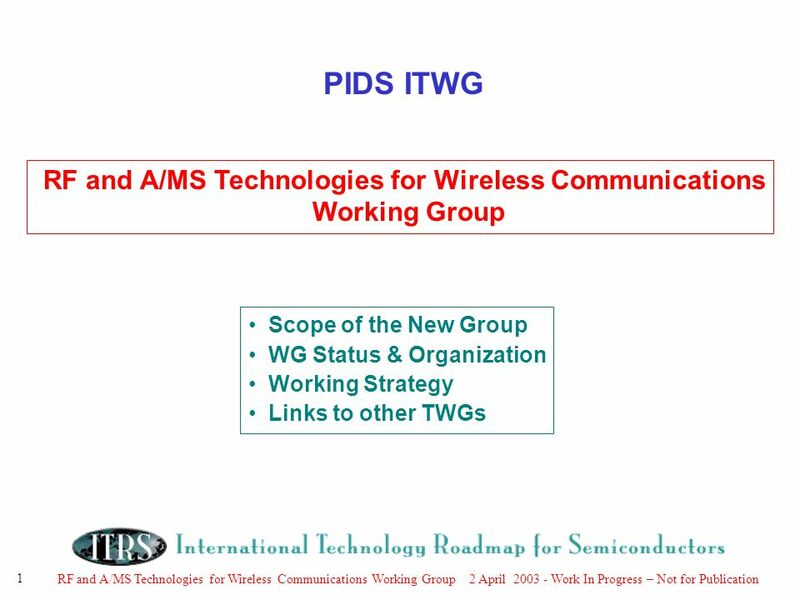 18 July 2001 Work In Progress – Not for Publication Assembly and Packaging Joe Adam TWIG Co-chair. 16 December 2009 Hsinchu, Taiwan Ambassador Hotel 1DRAFT WORK IN PROGRESS --- DO NOT PUBLISH 2009 International Technology Roadmap for Semiconductors Radio. 1 ERD 2012 ITRS Spring Conference – Noordwijk, the Netherlands – Apr. 24, 2012 ITRS Public Conference Emerging Research Devices 2012 ERD Chapter Victor. PIDS: Poster Session 2002 ITRS Changes and 2003 ITRS Key Issues ITRS Open Meeting Dec. 5, 2002 Tokyo. 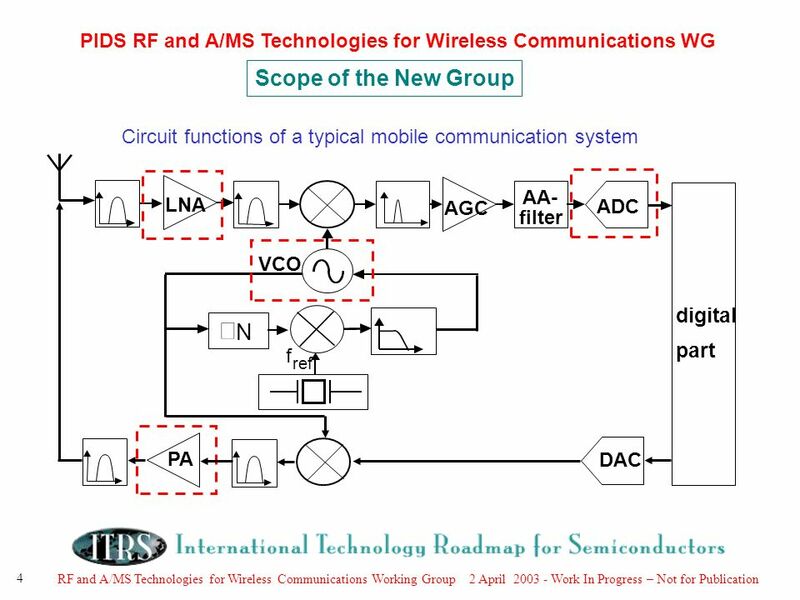 Work in progress – do not publish RF and Analog/Mixed-Signal Technologies Herbert S. Bennett Acting Chairman for ITRS RF and A/MS. Chapter 13 Future Directions 學生：郭智昇 學號： R91943036.